There are an infinite number of possible designs, and outdoor fire pits no longer need to be just a round pile of rocks. 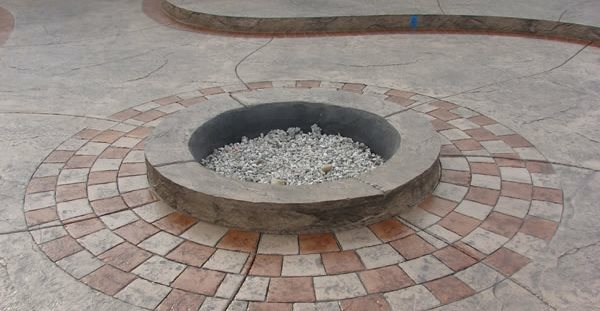 I work with several basic styles of gas fed fire pits when I design outdoor gardens to enchant my clients. 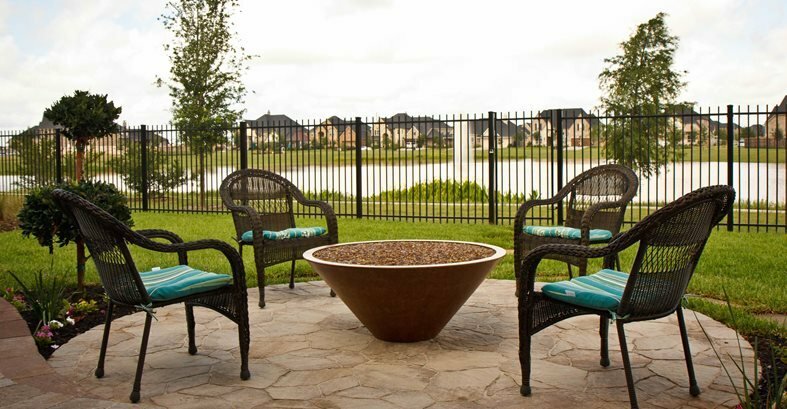 Get tips on how to choose between a fireplace and firepit. Designer/contractor Scott Cohen from Los Angeles takes you to several projects to get ideas and explains how he selects one over the other. Consider the view from indoors too. Place features where they can be easily seen from your interior living and entertainment space so people can enjoy the show indoors and out. 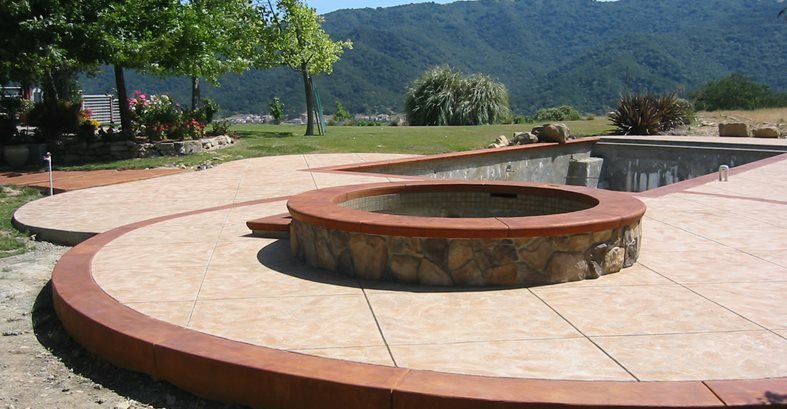 Fire pits are almost always preferred on view lots over fireplaces. Plan for safety. Always locate fire features away from traffic areas and take prevailing winds into consideration. Above all use common sense when operating fire features to keep your evenings safe and beautiful. Typical construction on all of these features involves digging a pit, raising walls with brick or cinderblock, and veneering the outside with stucco, stone, brick, or tile. The interior veneer must be authentic firebrick with a fire-proof grout. This detail is often overlooked by installers but can result in an extremely hazardous situation if aggregate in concrete or cinderblock overheats and explodes. 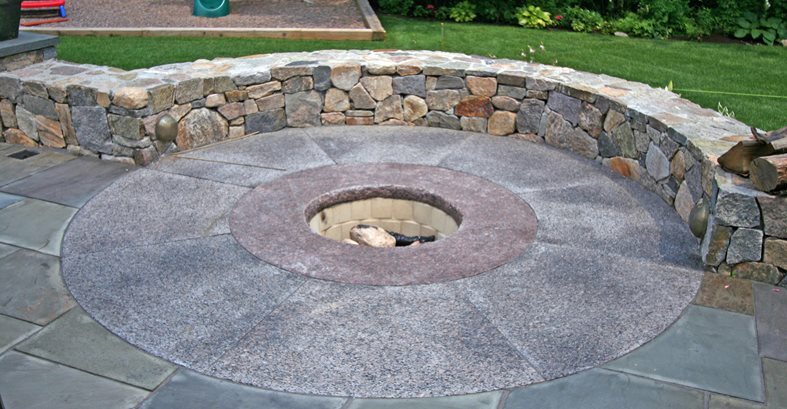 When selecting the proper height to construct your fire pit consider this: 12-14 inches tall is best for putting your feet up; if you set them higher you can lose circulation to your legs and feet. Standard seat height is 18-20 inches, so build your feature at this height if you intend people to be comfortable sitting on it instead of next to it. Gas ring upside down or right side up? Talk to anybody who's been in the business for any length of time and they will tell you firmly that the gas ring must be installed with the holes facing down, ....or up. It depends on who you talk to. If you check the instructions, most manufacturers recommend installing with the holes downward. This keeps the water out of the ring and spreads the gas more evenly. Many contractors still prefer to install the holes facing up for effect in sand and under glass. There seems to be a difference of opinion within the industry with the experts split half and half. I have installed them both ways and generally allow the fire pit fill material and the effect I am after to dictate ring placement. Build for the long term. 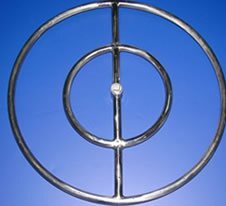 Stainless steel gas rings substantially outlive the less expensive galvanized metal rings. Save yourself a callback and ensure a happier client. Leave the bottom of your fire pit open to allow water to percolate out. In heavy rain areas, leave a weep or drain hole just above the height of your adjacent patio. If you're going to have fire, do it right. Install a generous number of gas rings to create the effect you want. That way, you'll be able to adjust the flame from mild to wild to suit the mood of the evening.